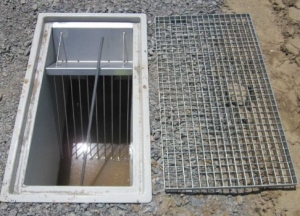 Resin feed tanks for sewage, raw and clarified, are covered using galvanised steel or polyester gratings, providing safe, easy access to the feed system (for plant personnel). 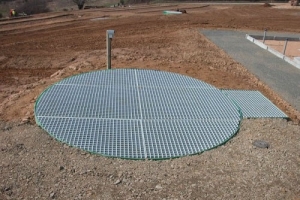 The cover is perforated, providing constant ventilation within the tank, following the aerobic treatment principle, specific to reed bed filter plants. Ventilation also considerably limits the corrosion phenomenon and prevents sludge from fermenting and producing unwelcome odours. 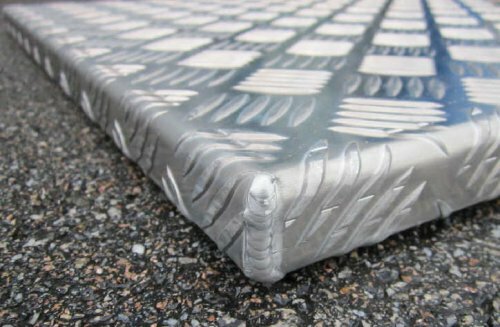 They are concave in shape and non-slip coated. 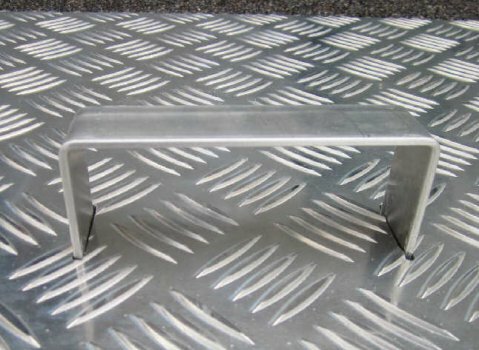 The gratings are supported on galvanised angle profiles providing maximum safety for maintenance personnel and have a load bearing capacity of 250 kg per sq. m. over a one metre span. 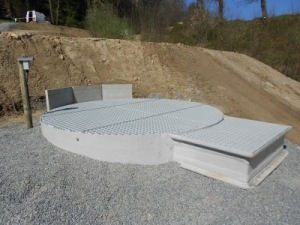 They are designed for easy manoeuvrability. Covers provide a response to particular usage conditions (mountains, etc.). Covers are made from 6060 aluminium. This type of aluminium has an excellent corrosion index with a pH of between 4 and 9 (pH of sewage is between 6 and 7). 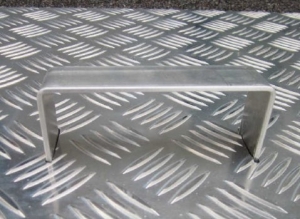 The angle profiles are strengthened and the cover is fitted with a handle.